Mignoni Gallery is pleased to present Flavin, Judd, Mangold, Wilmarth, Yun. This exhibition brings together eight works in varying media by four of the best known American Minimalist Artists, alongside Korean Artist, Yun Hyong-keun. During the 1960s, Yun became associated with the influential Dansaekhwa (monochromatic painting) movement in Korea. Donald Judd was an early fan of Yun and featured Yun’s work in exhibitions in his 101 Spring Street, New York and Marfa, Texas spaces. Mangold and Flavin’s works on paper demonstrate the process by which the artists’ paintings and light sculptures from the same dates were created. In particular, Flavin’s three works, reference one of his most ambitious light works to commemorate the bicentennial of the French Revolution of 1789. 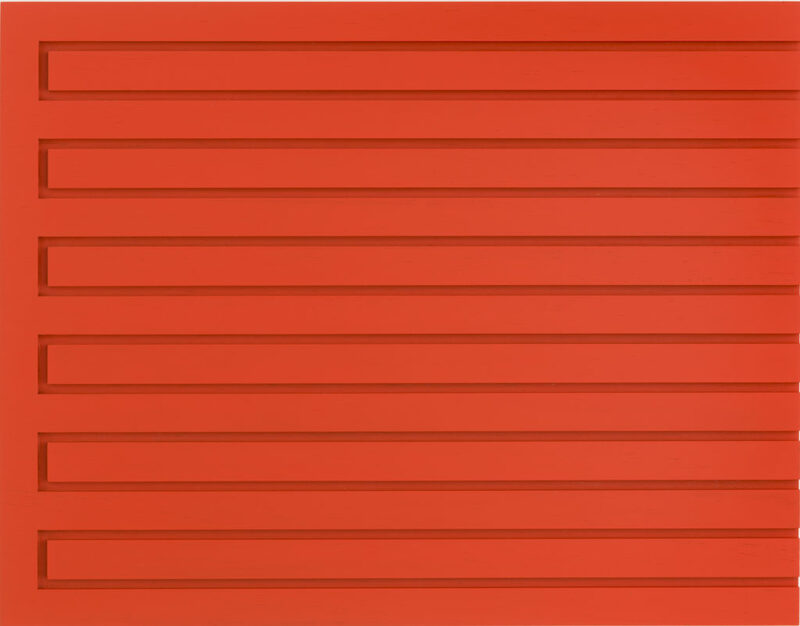 Judd’s woodblock is one of a series of works in which the artist explores variations of form and symmetry, this work in his noted cadmium red. Wilmarth’s Untitled, 1974 wall-mounted sculpture – in his signature medium of glass, wire, and steel – evokes human emotions through sensuous qualities of light.